After I tried some of Starlooks' shadows and primer from their September Starbox, I knew I needed to sign up, so I joined in time to receive the December box...and I am really, really glad I did! Starbox is a monthly subscription program by Starlooks. They send out 3-4 (or more) full sized makeup items from their line per month for $15 a month (plus 1.98 shipping). The makeup is high quality (some compare it to MAC, and they did use the same chemist to formulate their products. I don't really use MAC, but I can say that everything I've tried has been great quality) and it's always a great value. The products are also cruelty free! 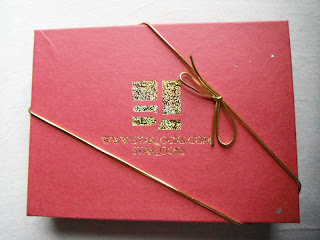 December is their Happy Holidays box, and it has a value of $99! It arrived in a reddish box with a gold ribbon. Super simple and cute. The shipping was very fast, I received it just a couple of days after it shipped. Sprinkled inside was cellophane glitter, which is an adorable touch, though a bit messy. The card talks about the items received on the back, as usual. 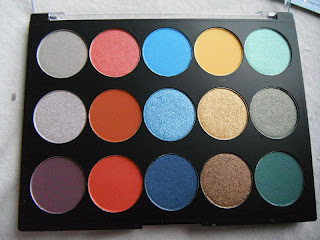 This month, instead of the usual 3-4 individual products, they sent a pro palette of 15 shades! It was well cushioned, and I'm glad to report that it was in perfect condition. I love the way the box allows you to see the products inside. How pretty and fun are these colors? This month, they took inspiration from their Christmas tree and sent us a palette that would allow us to create colorful looks using complimentary colors. This palette includes 15 shades that are exclusive to this particular palette, which makes this a really awesome thing to receive! I received palette i110A, and they sent out at least 3 different ones (all similar ideas and color families with different shades). I love that there are a variety of finishes and that there are 3 shades of each color...this will make this palette really fun to mix and match. And best of all, the quality is great! The shadows are nice and smooth and soft and pigmented and the colors are beautiful. They are buildable, which is important to me, and easily blendable. This (and all 15 pan) palettes retails for $99. I am as happy with my Starbox as I expected to be! *Disclaimer: I paid for this service with my own money and received no compensation for this post. All opinions are my own. ahhh pretty! ive been reading about everyone's experience with Starlooks and it has all been positive. 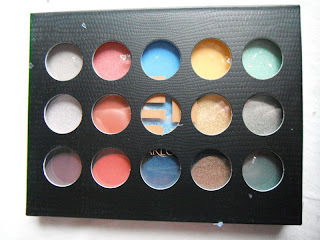 there was so much talk about this special palette but i had to hold back since i have WAY too many eyeshadows as it is. it is gorgeous though! Admittedly, I also have too many eyeshadows, but they are the one beauty product I can't resist! haha sounds good - i might consider signing up after the new year when i have cancelled a few other ones!